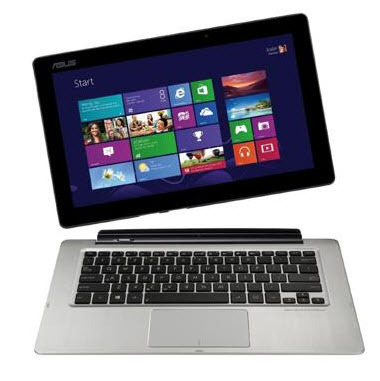 ASUS Transformer Book was introduced with "The World's First Detachable Notebook". The ASUS Transformer Book is powered by the i7 processor, with Windows 8, is a notebook, a tablet, and altogether amazing. Prepare to detach and conquer. Want to know how to watch DVD movies on the ASUS Transformer Book? Here is an article to introduce a complete and verstaile DVD ripping software - Any DVD Cloner Platinum. It is a powerful DVD to ASUS Transformer Book Converter with user-friendly interface. Easy to rip DVD movies to videos supported by ASUS Transformer Book with a few steps. Step 1. Launch the program and insert DVD into DVD drive, click "Open DVD" in the DVD to ASUS Transformer Book Converter. Step 2. Choose "Normal" as output profile and MP4 would be selected as output video format. MP4 is supported by ASUS Transformer Book. Step 3. Generally speaking, the longest title would be selected with DVD to ASUS Transformer Converter. Users also can select other titles up to preferences. Step 4. Click to start conversion. Wait for a while the conversion would complete and just need to transfer the video file from target folder to ASUS Transformer Book. Enjoy DVD movies with ASUS Transfomer Book freely and have fun!